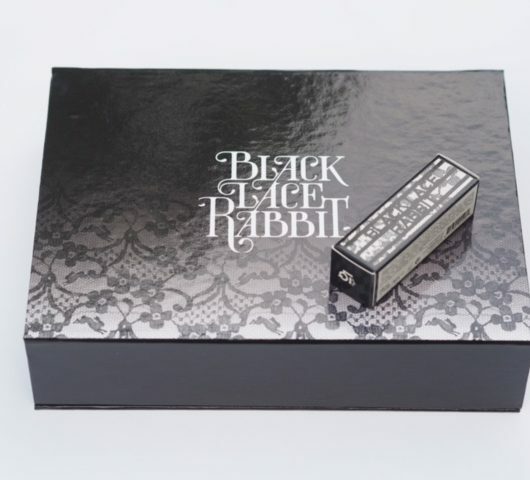 Here’s something a bit different from Suqqu as part of their autumn/winter collection launching tomorrow at Selfridges. These Glow Touch Eyes are absolutely gorgeous and super easy to apply for a wash of colour on the lids. Personally, I’d advise a primer underneath to give them more last but it will depend on how oily your lids are in the first place. 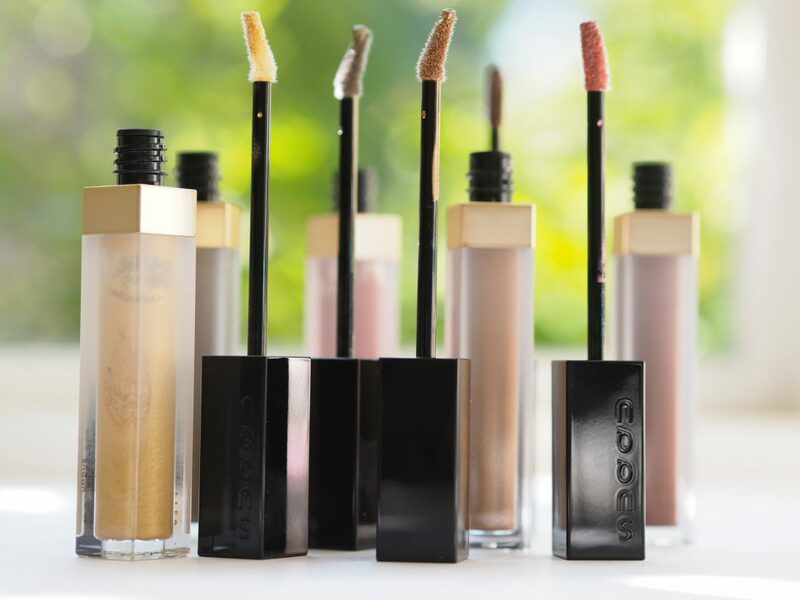 These are just so subtle but present and are seamless in application – you can use the doe’s foot applicator or a fingertip or a brush – whichever way suits you best. I used the doe’s foot followed by a bit of (clean) fingertip adjustment and it worked well. 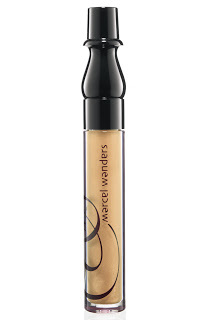 There are six shades and they have a lightly luminous finish. They’re pearled but not shiny as such. From bottom to top: Grace Khaki, Light Brown, Sunrise Pink, Sparkle Gold, Earthly Red and Shining Silver. They’re £24 each. 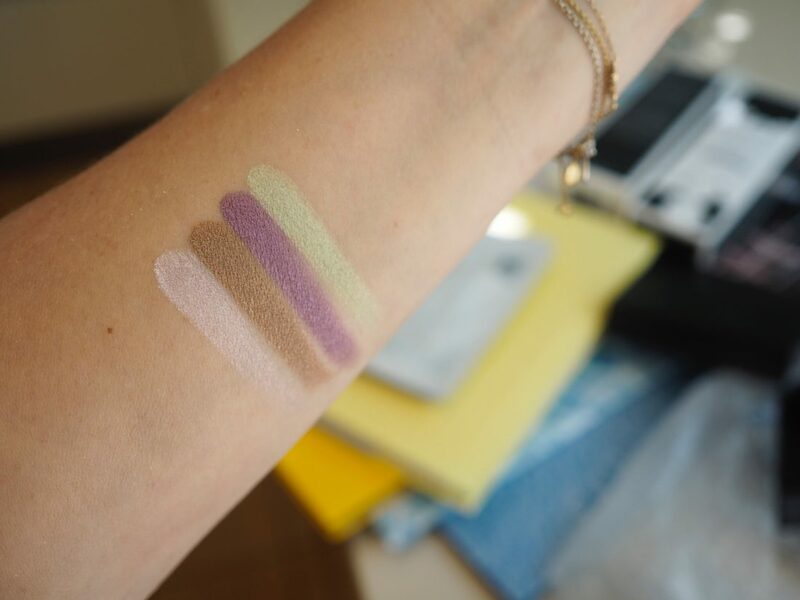 I’ve swatched these at greater intensity than they’d ideally be worn on the eyes. 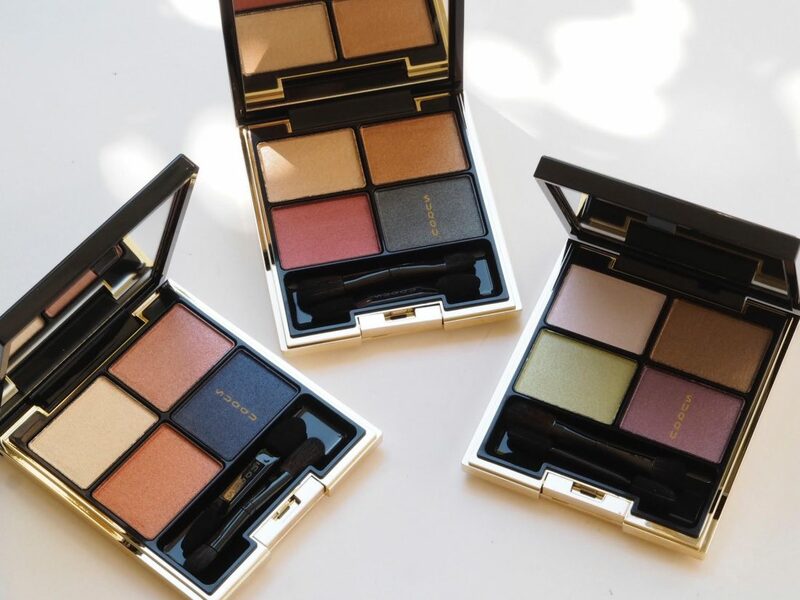 Of course there are Designing Colour Eye Palettes, too. I think these truly reflect the Japanese heritage of this brand – they’re nature inspired – and as you’d expect, pay off and application are seamless. Going left to right: Sunset Orange & Sky Blue, Autumn Red & Amber Brown and Airy Green & Blooming Purple. Unusually, I’ve got UK names for everything – normally I am battling through Japanese titles which do obviously sound far more enticing (the Airy Green palette is named Ryoukoumosu, for example) but it makes my life easier in terms of spell checking to have the UK versions! 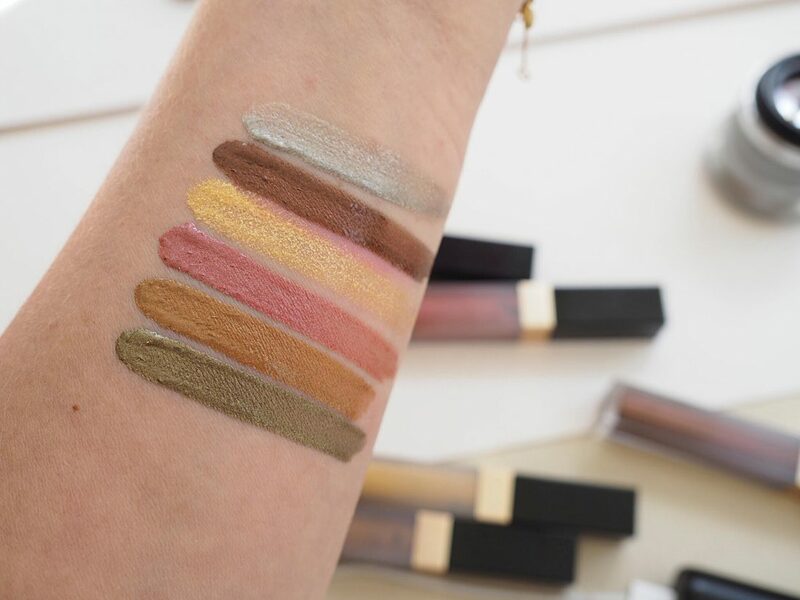 Shades blend so nicely and the more you work them and blend them, the more luminous they become… definitely worth the extra few brush strokes. 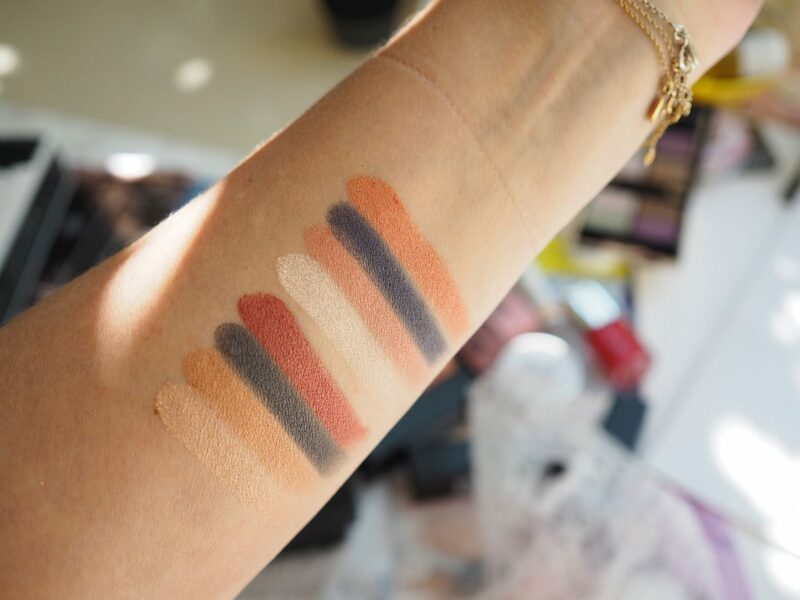 The first quad of swatches is Autumn Red & Amber Brown, the next is Sunset Orange & Sky Blue. And, beautiful Airy Green & Blooming Purple. So pretty. 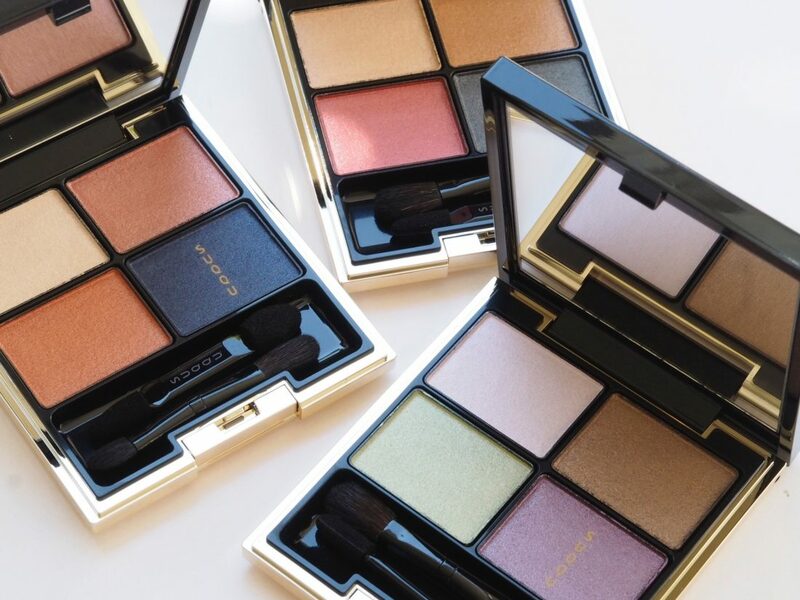 There are two blush/highlight palettes for this season – Smoky Rose and Cool Brown. 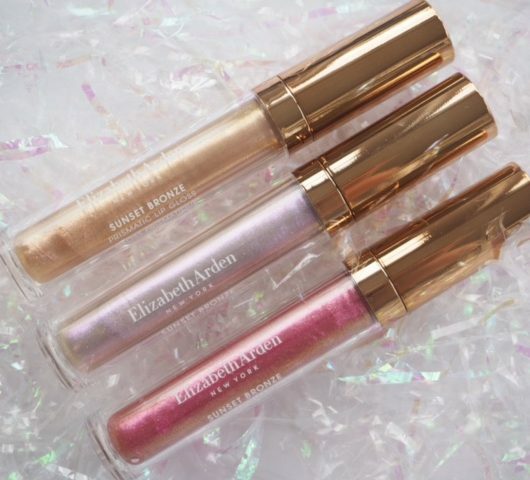 Each has a tone appropriate highlighter which are – considering they’re highlighters – quite low light! 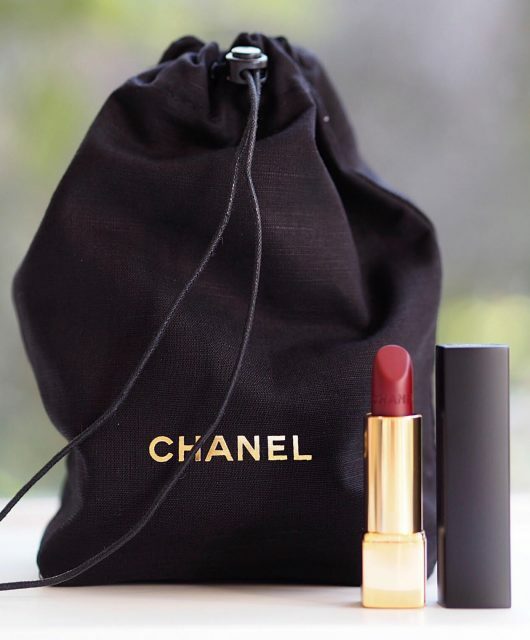 Finally, the lipsticks. 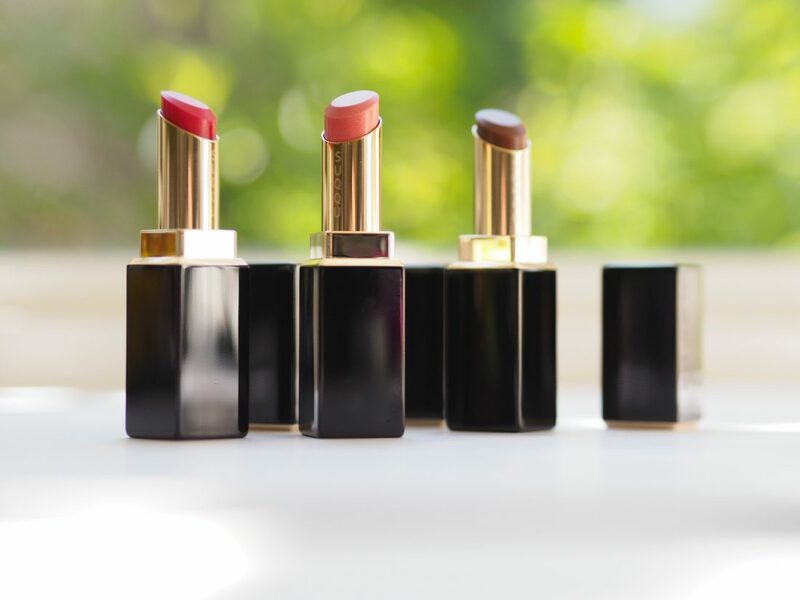 I can’t tell you how soft and buttery Suqqu lipsticks are – they’re at the limit of being solid before they become liquid so you have to apply gently so that you don’t over deliver. 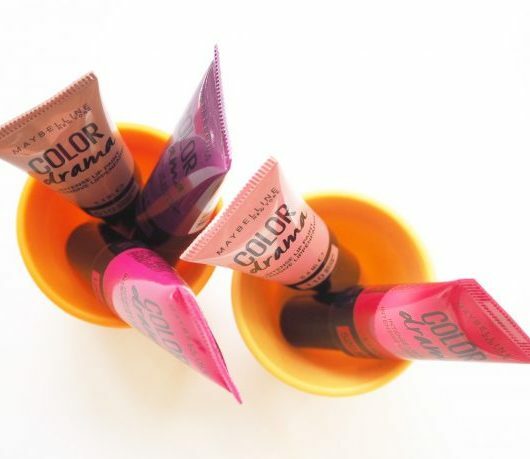 These are washes of colour – if you’re after strong pigment, these aren’t for you. 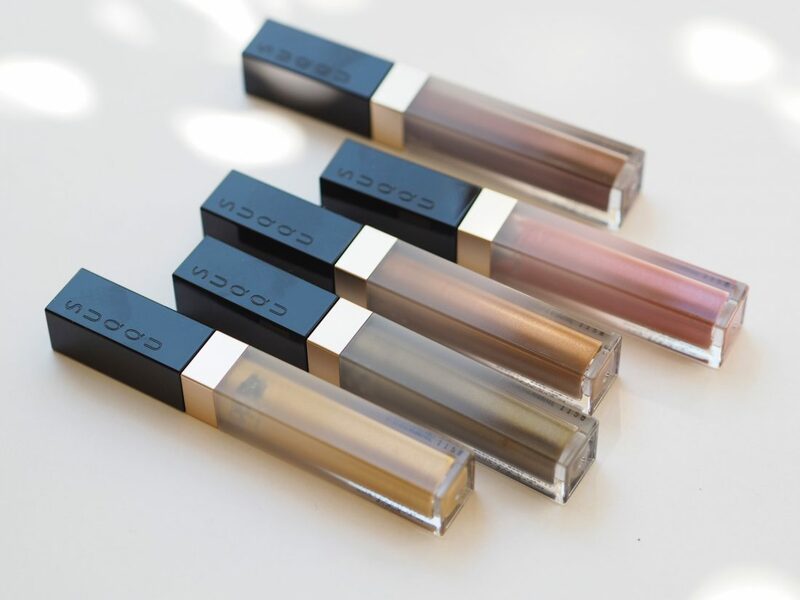 They’re gloss sticks really – so smooth and juicy and very hydrating, too. 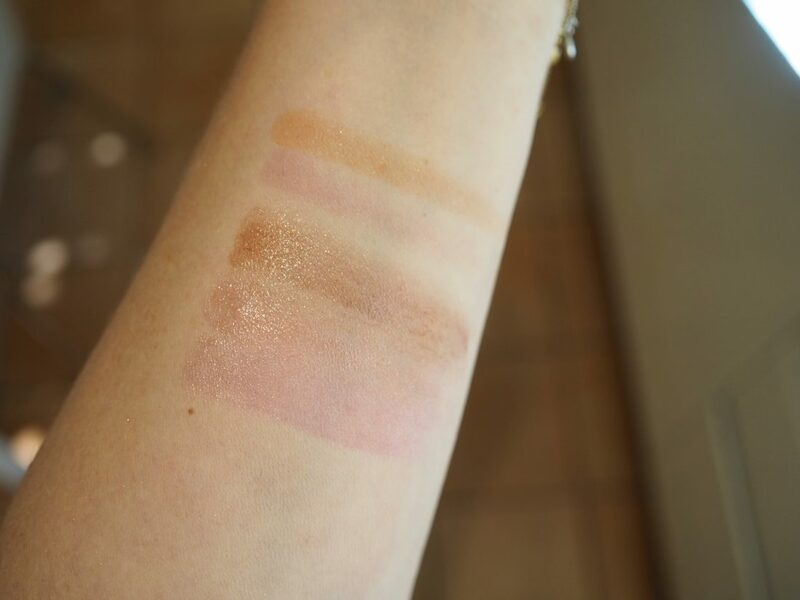 Bottom to top in the swatches: Pure Pink, Classic Red and Clear Brown (I said they are sheer! 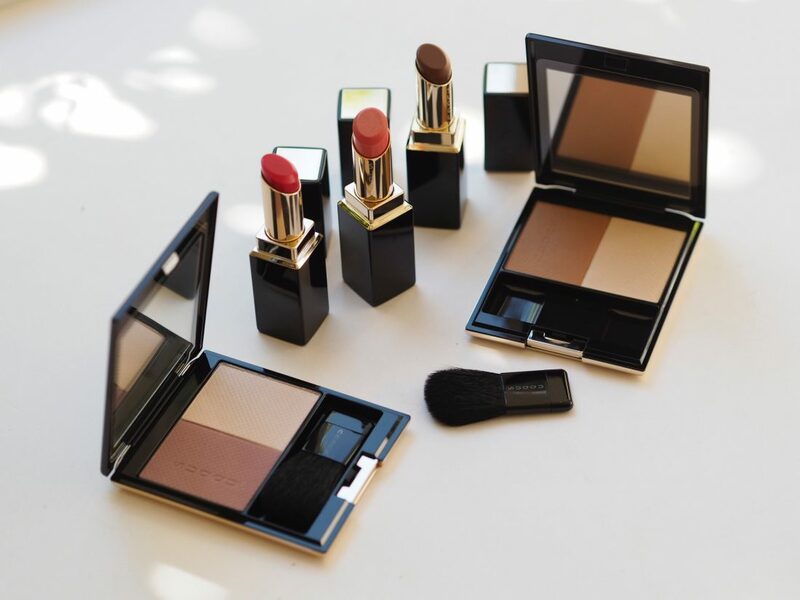 ), followed by Smoky Rose and Cool Brown blush. Blush is £32, Lipsticks are £30 and the shadow quads are £46. 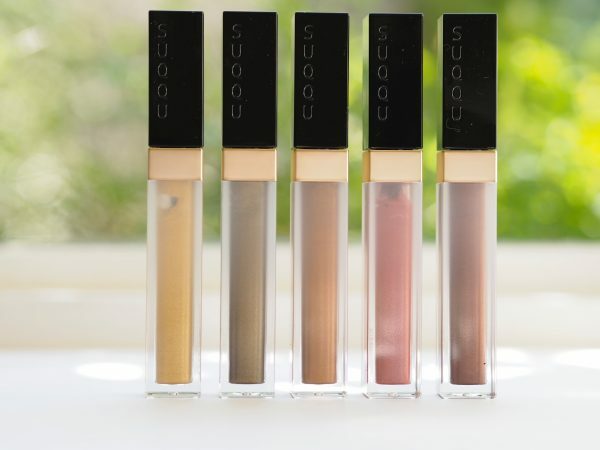 Suqqu collections always sell very, very quickly. Oh wow, these are so pretty! I wish I could easily get Suqqu here in America!